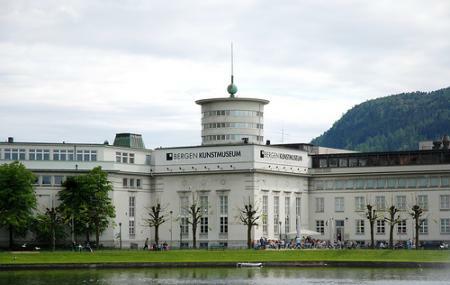 One of the most prominent establishments of Bergen and a must see for everyone passing by or stopping at Bergen, the Bergen Kunst or Art Museum is among the largest museums of Norway. Given the constant expansion the museum undergoes, there’s no telling whether or not you’ll recognize the museum when you visit for the second time. Be prepared to stretch your legs; the Bergen Kunst Museum is spread over a series of buildings and you can’t not visit one building whilst ignoring the other. A walking tour of world art through over 9000 works of art is what can best describe a trip here. The art on display spreads across a wide array of genres, from the Dutch Masters to Yoko Ono, it’s safe to assume that if there ever was a milestone that was crossed in the art world, a representation of that can be found at the Bergen Kunst Museum. Tickets for students are available for NOK 50, while entry for children is free. How popular is Bergen Kunst Museum? People normally club together Det Hanseatic Museum And Schøtstuene and Fantoft Stavkirke while planning their visit to Bergen Kunst Museum.